… An AGA kitchen, inglenook fireplace, roll-top baths and a sumptuous lounge, all combine to provide the warm and homely character that Ridge Farm is famous for. The original farmhouse, believed to have been built around 1580, still retains the majority of its original features. Over the centuries there have been many additions to the old farmhouse and the result is an attractive and eclectic mix of old and new. 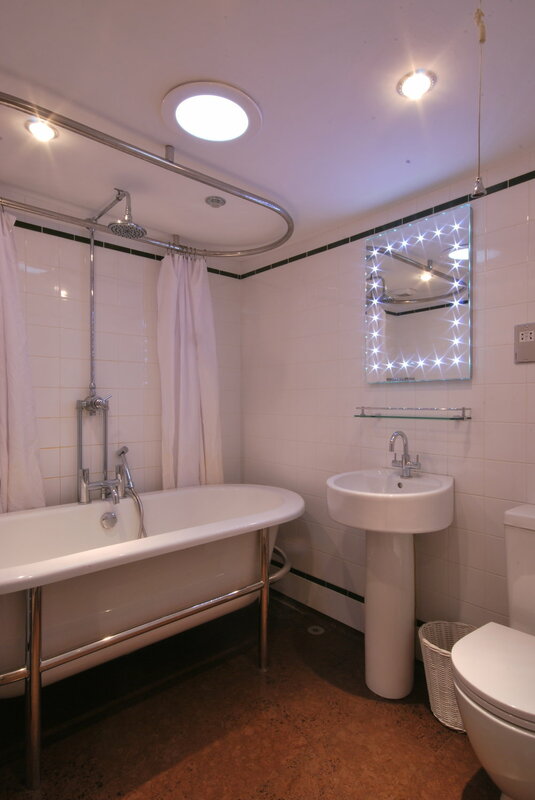 The Granary is a beautifully renovated one-bedroom cottage situated away from the main house. A short stroll along the path will take you to this hidden gem – an enchanting cottage which holds an exceptional interior; a turquoise mosaic bathroom with gold leaf uplighters; a velvet drape curtain that can be lowered enclosing the bedroom for cosy nights; stained glass French doors leading out onto the balcony to sit and enjoy a glass of fizz or breakfast al fresco. 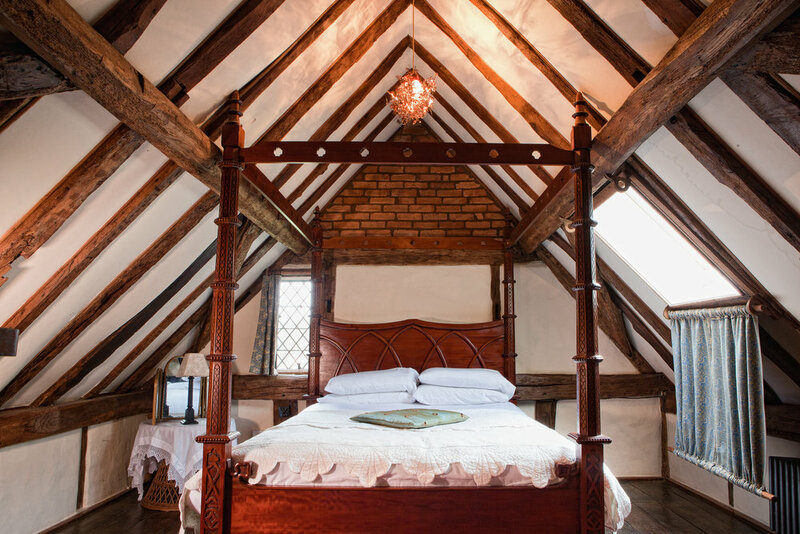 Independent from the main house, with its own sitting room and kitchen downstairs and a bedroom and bathroom upstairs, it can be hired as a bridal suite, for a special occasion – or just as an extra indulgence to further your enjoyment at Ridge Farm. Whatever the occasion, a stay in The Granary will give a truly unique experience. 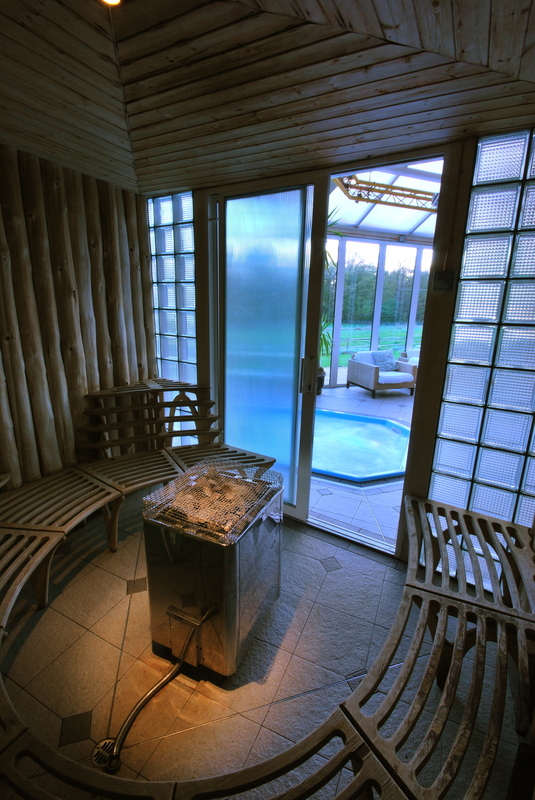 With its swimming, spa and sauna facilities, the pool house is perhaps the farm’s most utilised space. It’s a wonderfully flexible space with a beautiful outlook over our secluded fields and woods. We also provide you with gas barbecues, a fridge-freezer, stereo equipment and bathing towels. The poolhouse is where we hold many of our clients' functions and receptions; the main room can comfortably seat up to 150 people with additional space on the patio for those with a little faith in the English summer. The grounds extend to over fourteen acres and for some are the highlight of any visit. From the apple orchard and the tennis court to the vegetable garden or the ponds there is sure to be something to occupy guests of all ages and inclinations.